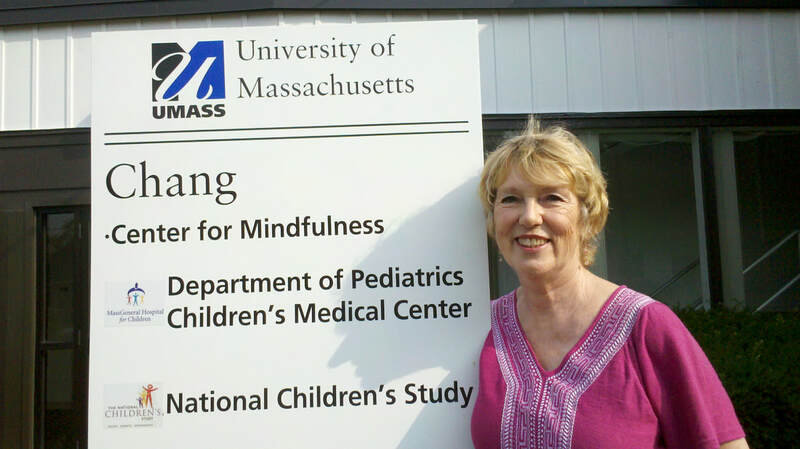 Paulette is a founding member of the Ann Arbor Center for Mindfulness, Ann Arbor, Michigan. She is a qualified teacher of Mindfulness-Based Stress Reduction and Mindful Self-Compassion and is the founder of the weekly drop-in session in Saline, Michigan, Open Meditation Saline. Master Teacher Thich Nhat Hanh, The Mindfulness Retreat for Educators, Ontario. ​She has been practicing mindfulness meditation for over 20 years, starting in the mid 1990’s after reading Jon Kabat-Zinn’s Full Catastrophe Living: Using the Wisdom of your Body and Mind to Face Stress, Pain, and Illness, where he describes the effects of chronic stress and the program he developed called Mindfulness-Based Stress Reduction (MBSR). She says her practice has helped her with better focus, a healthier way to relate to what's difficult, more joy in everyday living, and developing deeper understanding, compassion, and kindness for herself and her fellow human beings. Currently, she teaches Mindfulness-Based Stress Reduction (MBSR) in Ann Arbor and Mindful Self-Compassion (MSC) in the Ann Arbor area in the spring and fall and in Bonita Springs, FL, during the winter. She curates an open drop-in mediation group in Saline, Michigan. She leads Days of Mindfulness (one-day retreats) and workshops on Mindfulness at Work in Michigan and Florida. She resides in Bonita Springs, Florida, during the winter, where she leads a weekly mindfulness community in Bonita Bay January through April. ​Cognitive Behavioral Therapy & Mindfulness, Richard Sears, PESI. Paulette is Professor Emeritus of Interpersonal Communication at Washtenaw Community College in Ann Arbor, Michigan, retiring after thirty years of full-time teaching and six years of serving as Humanities Department Chair. She continues to teach Family Communication online, a course which she developed for the college and designed for teaching as distance learning. She is a wife and mother and has two fun-loving Havanese dogs. ​Follow her on Facebook at Mindfulness with Paulette.